Hello my lovely readers! Yes, it’s been a very long time indeed! But look out world, because I am back! Well, almost;) My journey recovering has been a long, difficult, painful road and although I am still not 100% yet, at least I can walk and talk now! I almost lost my life. With both physical and speech therapy since early 2014, and the prayers of so many, I am blessed to be here. I have been given a second chance at life and because of that, I plan on making every single day count and doing great things! I have quite a bit coming up and some awesome plans up my sleeve…so stay tuned…. I will be posting again soon and I cannot wait to share my adventures! Remember this: it is all about your attitude. Your attitude is everything and being positive in the toughest situations can get you through it. I promise. Chéri suffered from a tragic fall while on a shoot in LA in February. She is very blessed that she is not paralyzed however it has been a long, difficult road for recovery that seems harder every day….many of you have asked where she’s been and its been difficult to respond to the overwhelming amount of love and support received both in her personal and professional working life. Thank you from the bottom of our hearts. And even while recovering and struggling every day, she says she is reminded just how precious and beautiful life is. Many exciting things have been happening: I’ve been traveling, filming, styling, designing, and living life to the fullest! 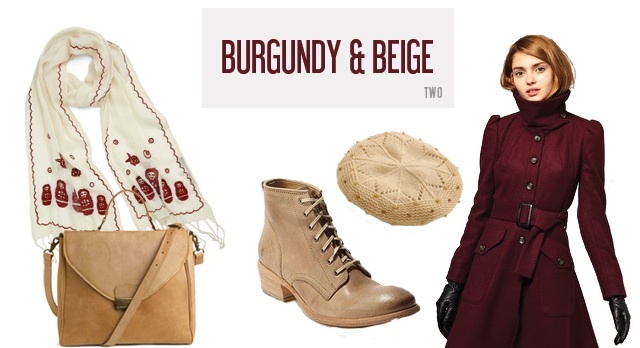 Right now we are having an awesome New York Fashion Week and most everyone is still suffering through chilling winter temperatures…although my California is still sunny and warm (as well as my stylish readers from the Southern Hemisphere;), this post calls for giving some beautiful winter chić ideas—because no matter the weather, you can still be beautifully stylish! 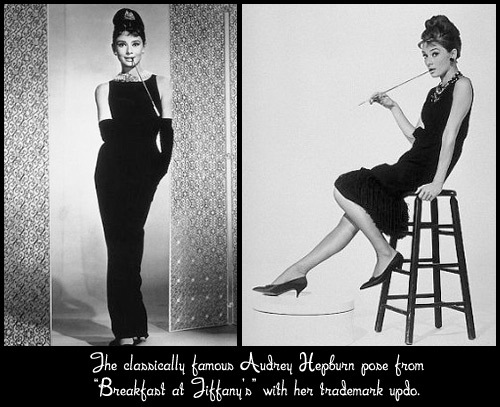 And you can never go wrong with old Hollywood glamour vintage style! Don’t be afraid for some pops of color! 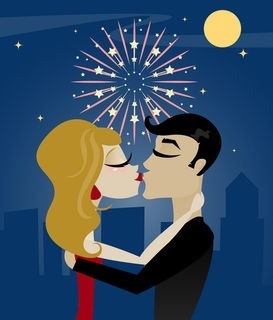 Happy New Year my dear readers! 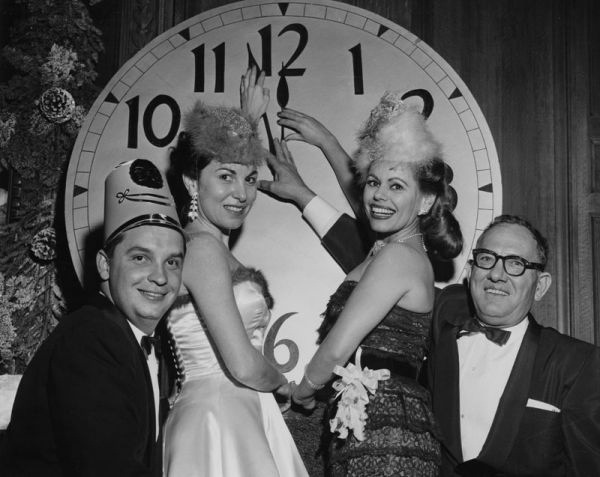 May 2014 be the best yet! 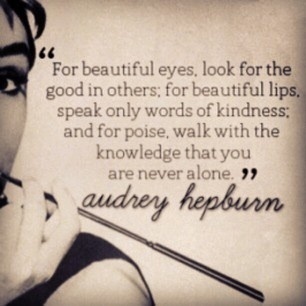 Here’s to fashion and timeless style, beauty that radiates, and glowing health! I’m celebrating in cold but beautiful New York City-what a perfect way to start the new year! 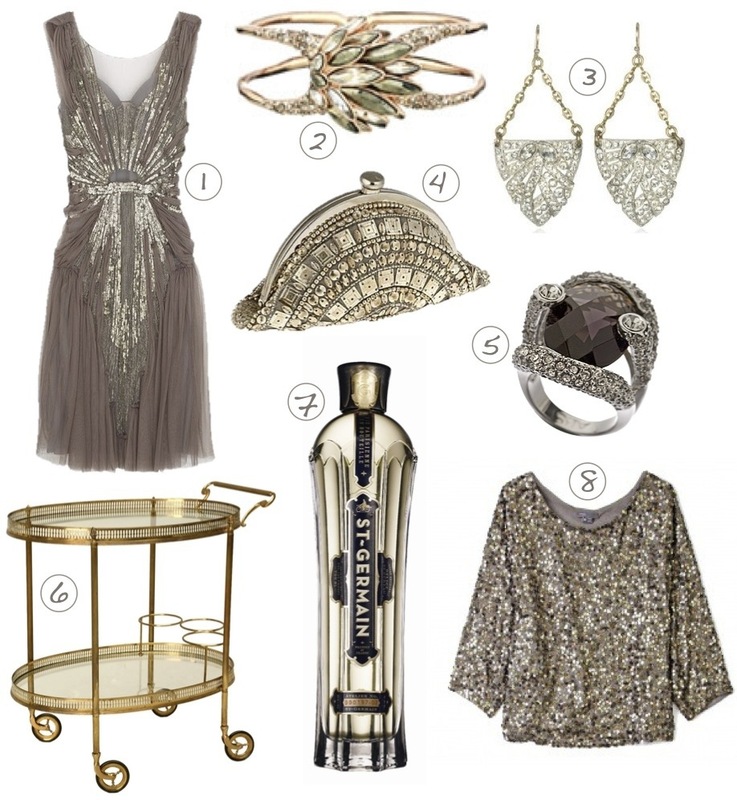 I’m so excited for the new year and a large part of that is because the trends for 2014 are so beautiful! I have big plans for my professional life this year and fashion everywhere is reflecting that beauty! I’d love to share some upcoming trends that I’ve already been working with which are sure to make 2014 the best fashion year yet! 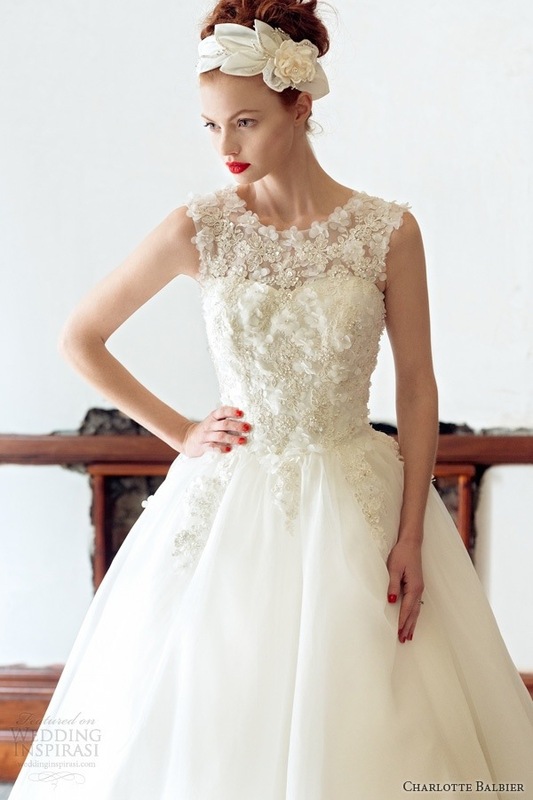 I thought it would be fun to do a bridal post for all you lovelies because it’s so inspiring! This is a popular trend this year! It allows you to showcase your best assets and give the illusion of concealing or adding to your figure. 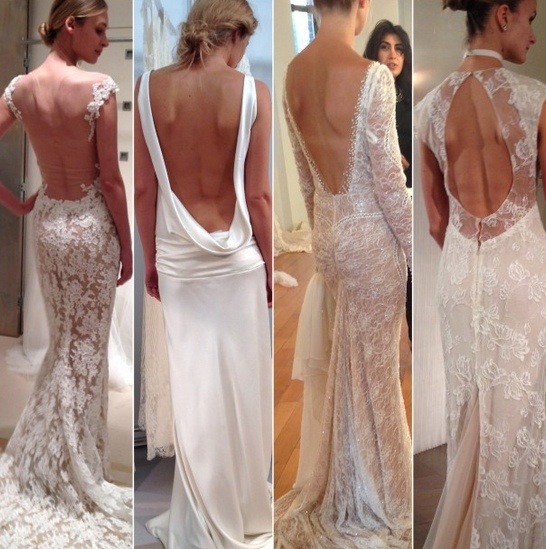 Always make sure you have a gown that showcases you and your shape in the best way possible! This is a fun trend! Something we’ve been seeing on the runways for this season is definitely a flair for the dramatic! 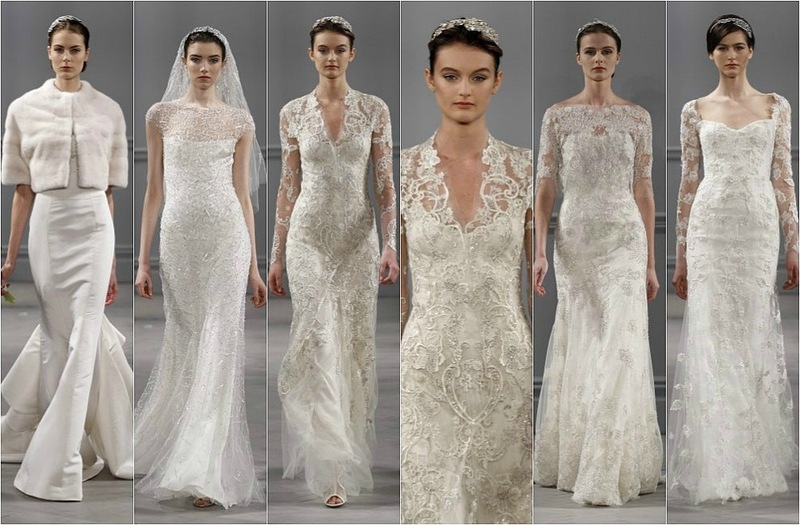 A very fashion forward bride may want to take this trend and make it her own;) A different shape or beautiful layers can give a very fresh, modern, stylish edge to a beautiful wedding dress. Love this! What’s really nice about this trend is the layering aspect. You can have an added shawl or covering piece to detach for the ceremony and reception-Or it can be a dress that can be two pieces so it’s as if you have two dresses for the day. This is a fun trend that gives you a lot of options and can be tailored to your location and setting. 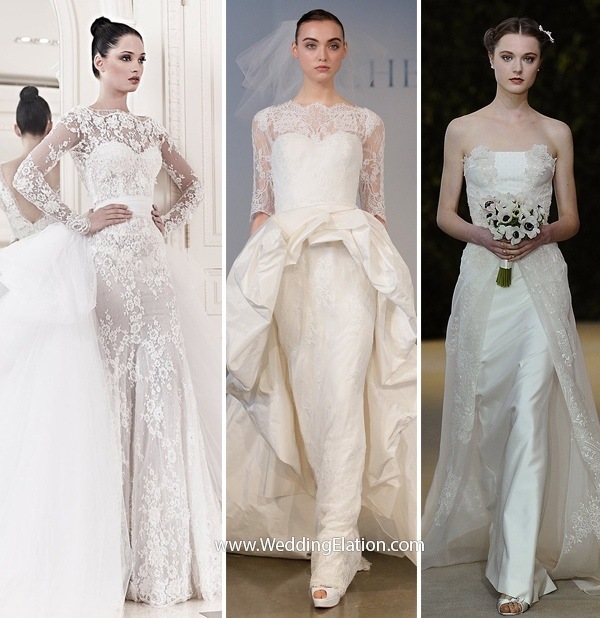 Traditional is always in style but 2014 is very fashion forward and brides are willing to take more risks to express their individuality and taste. 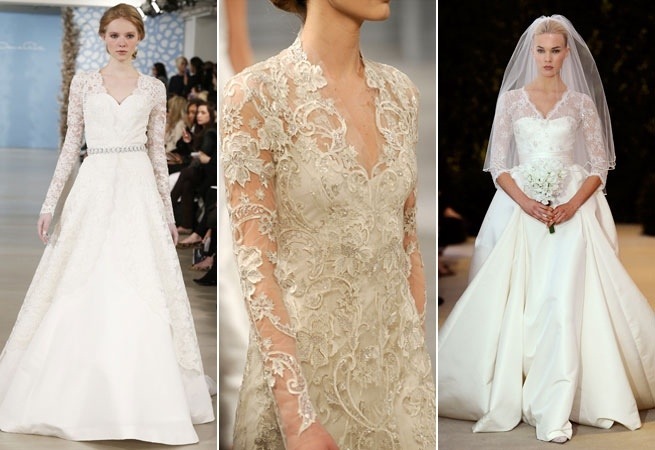 I encourage brides to stay stylish but to stay true to themselves. Personally, my keywords are feminine, classy, and traditional. However, I know that not everyone is this way. It’s always best to stay on the classy side though, no matter what end of the spectrum you are on trends. More than ever before, we are seeing a color trend for this season. 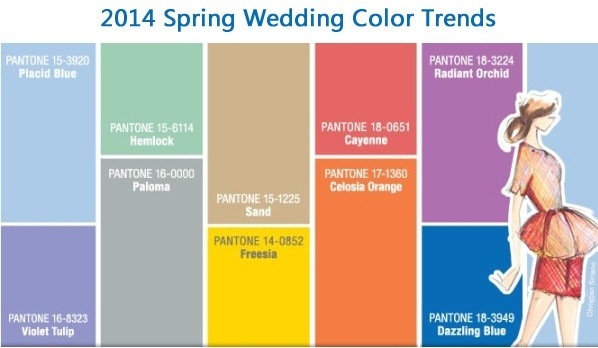 Ask any bridal shop and they’ll tell you that sales are up for a splash of color! 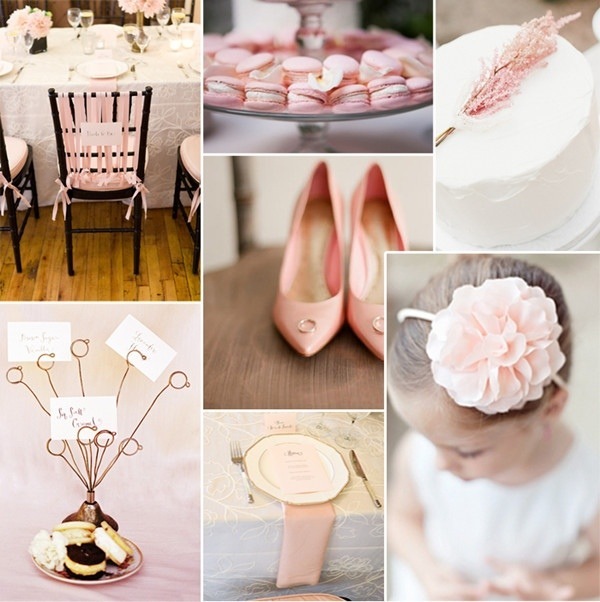 Of course, nothing will ever top traditional white, but sometimes going with cream or some blush color as an accent really highlights your skin tone. This is really trending! 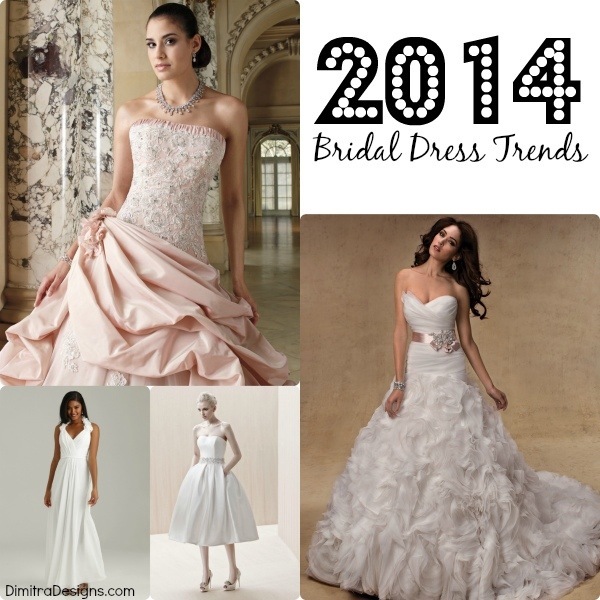 So as you can see, these trends are making 2014 a very fashion forward delight! I love giving style advice! I will keep you all updated because this is all very exciting! 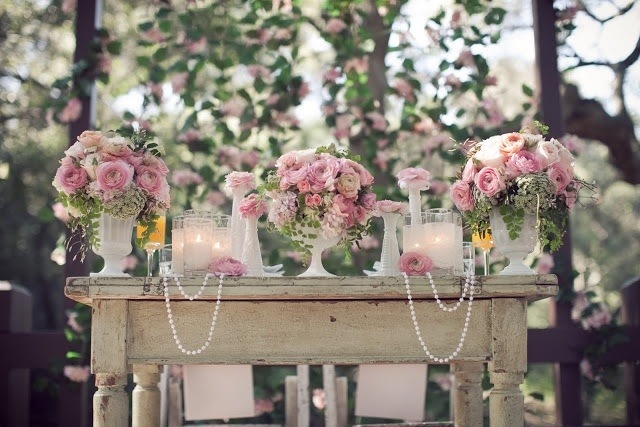 A special thank you to TLC network for seeking my consultation for their upcoming bridal shows this season. Greetings dear readers! Happy holidays and Merry Christmas! 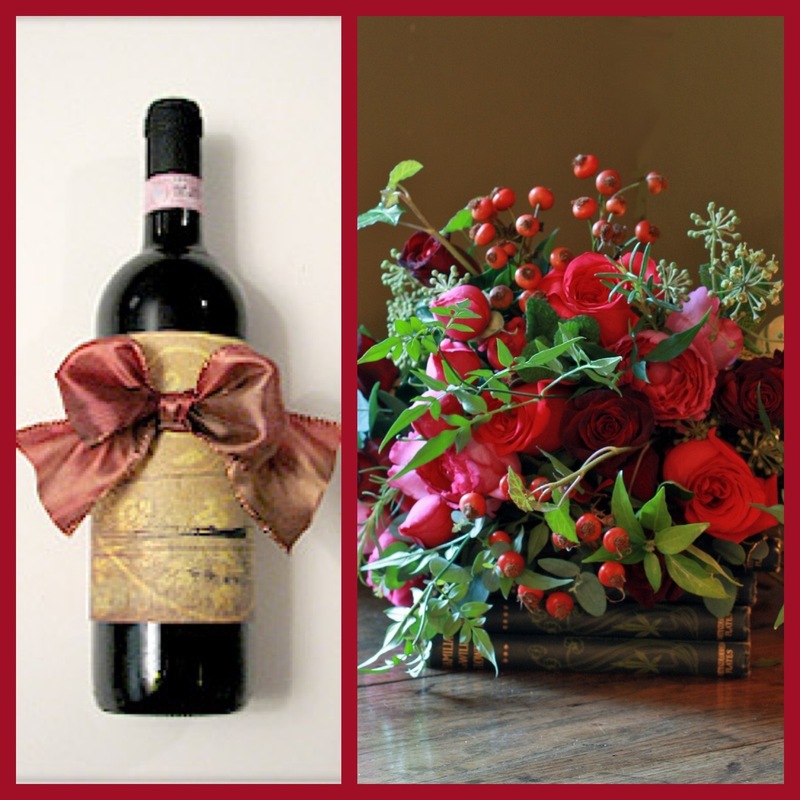 Since this is my most favorite season, I sincerely wish you all a joyous time from now through the new year…. You can never beat a classic black or red dress for this season…put on some red lipstick, a pretty necklace, and stylish heels or boots and…voilà! A beautiful sweater like this one from Banana Republic does the trick too! A classic black dress like this one from Banana Republic is always fabulous! I wish you all a wonderful Christmas season wherever you may be…. 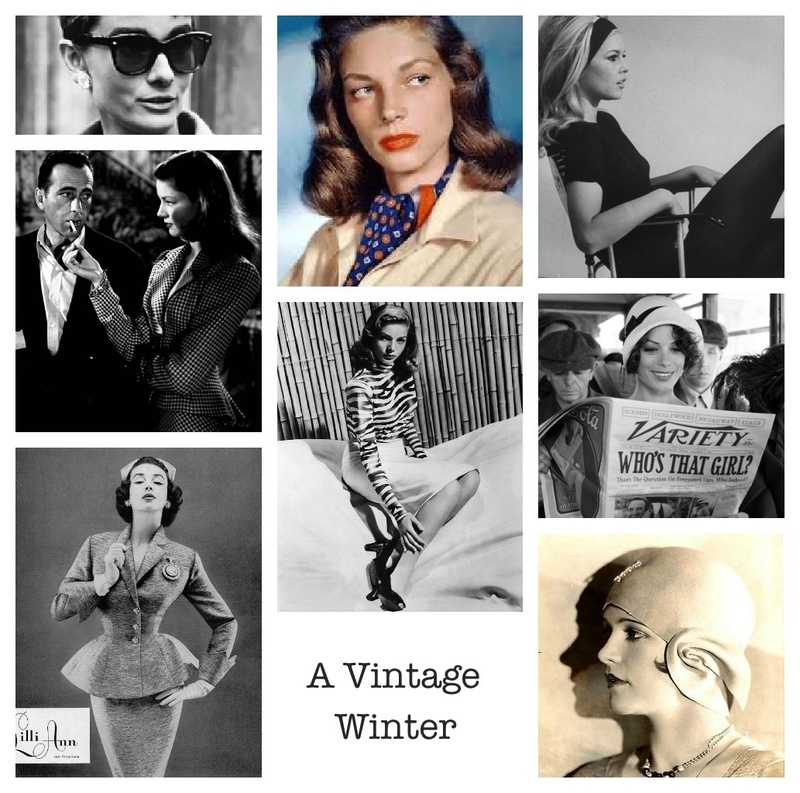 Thank you for reading my blog and I wish you stylish, warm and happy memories this season! 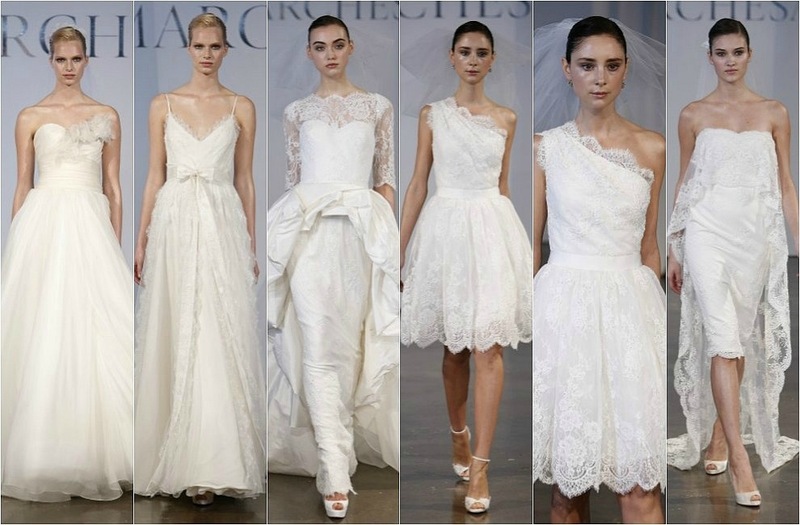 You all know how much I love all things bridal and with my background in bridal styling, I love to bring some beautiful styles into everyday chic! With the cold weather these days, the snow and harsh conditions can make us feel like everyday is a bad hair day…but you can incorporate some beautiful bridal updos into your look this season to change that! 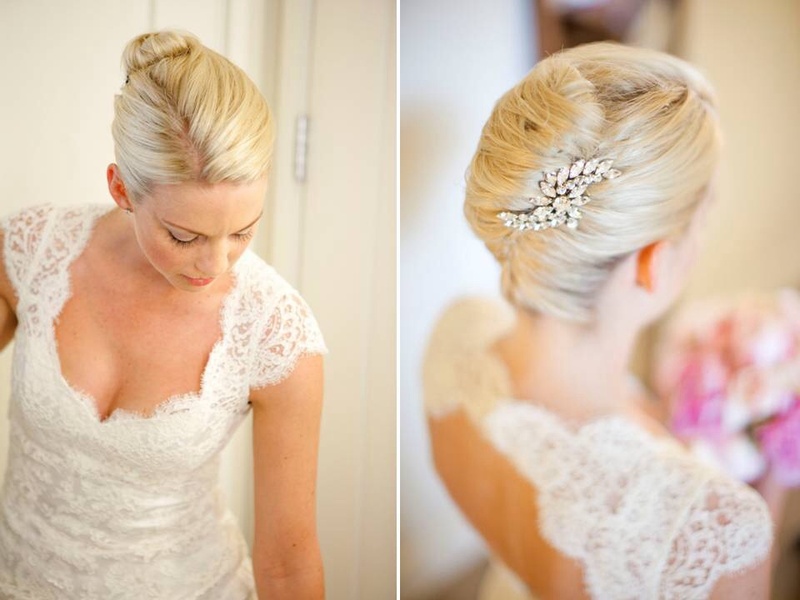 A beautiful, simple updo can really frame your face and make you look put together while walking along snowy streets! You can add some sweet little flowers or a little sparkly something to add sparkle this holiday season like this beautiful bridal style above. Even a simple updo with your earmuffs looks chic in the cold! 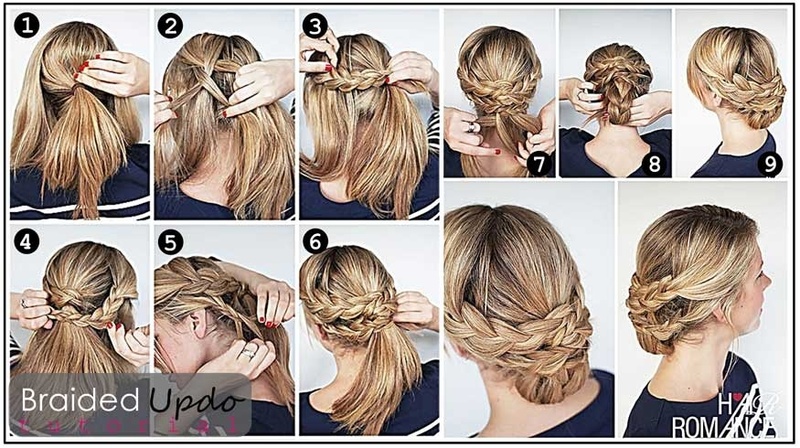 And I love this tutorial from UK Hairstyles because it shows how simple a romantic updo can be! So put some flowers in your hair and it will put a little spring in your step during this cold season…whether you’re walking down the aisle or not 😉 You don’t have to be a bride to enjoy this beautiful trend! Another great way to be fashion conscious, and also earth conscious, is to find some great vintage fur pieces—you can find these items at consignment stores, outdoor Saturday markets, thrift shops, etc. Don’t let these fabulous fashion pieces go to waste! 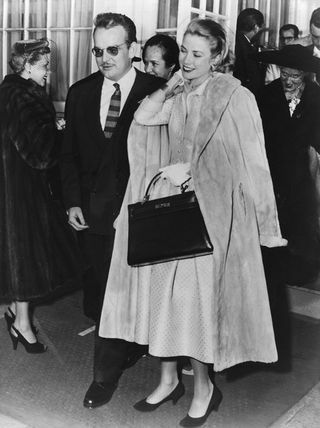 Like always, we can take a cue from timeless styles featured in the films of Hollywood’s Golden Age. 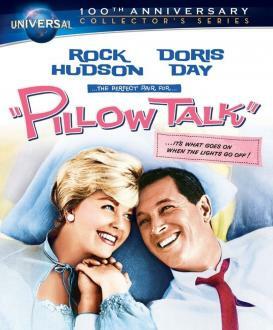 Doris Day wears the most fabulous fashions in one of my most favorite films, “Pillow Talk” with Rock Hudson. 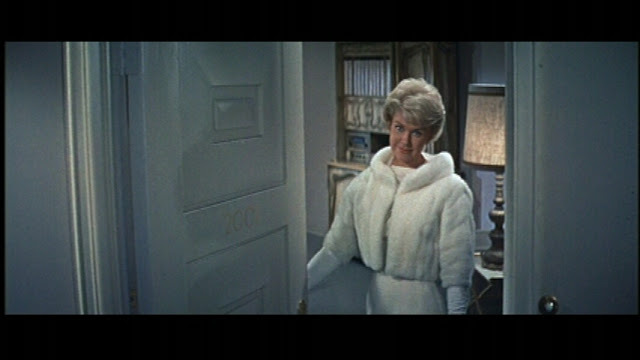 I LOVE this short white fur coat!! I just LOVE this ensemble! 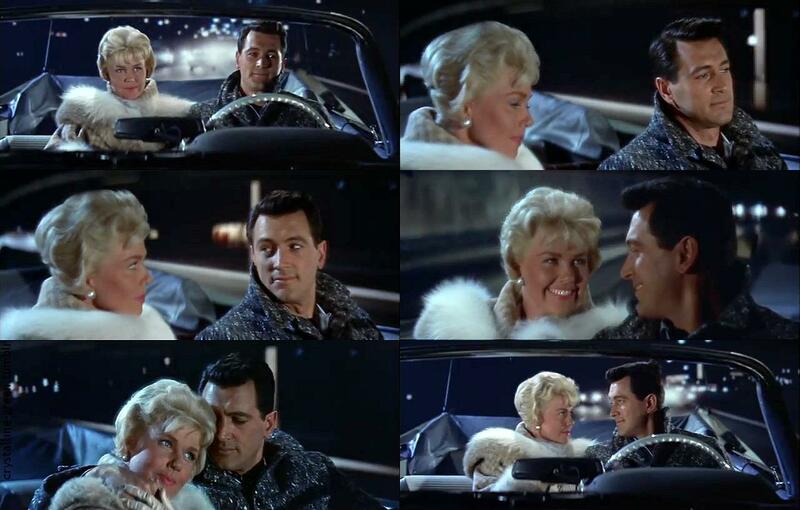 With Rock Hudson….see how it just looks so feminine! So maybe you aren’t walking down 5th Avenue in NYC, but you can still incorporate some fur into your winter-weather look. How about a feminine fur hat? 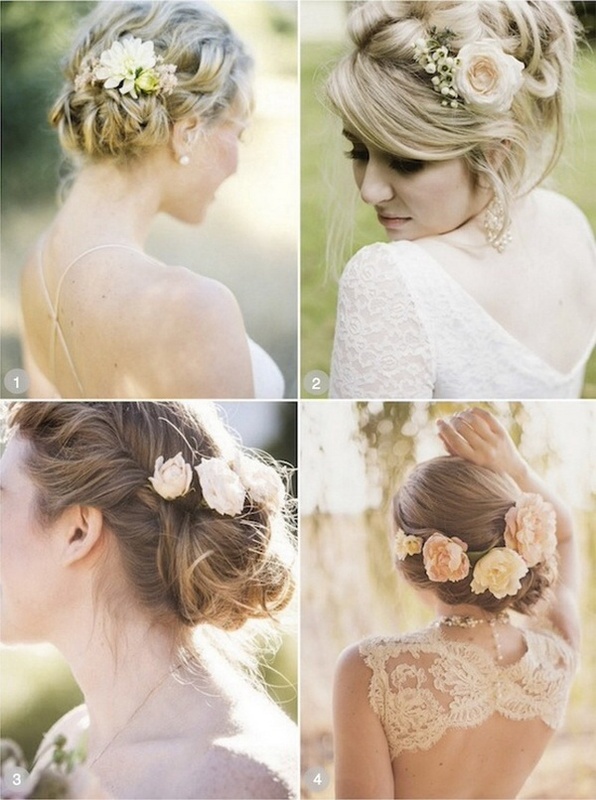 These styles are lovely this season! Kate Hudson keeping it casual but still wearing a cute fur hat! 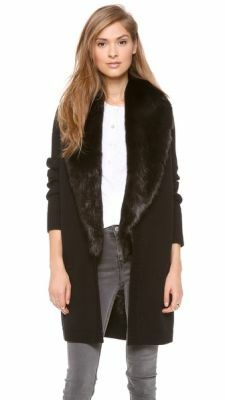 Or, you can opt for some fur trim on any of your coats or accessories. I recently bought some lovely black gloves with fur trim on the wrists. Très chic! A long cardigan like this with a faux fur trim going length-wise, is flattering for all shapes and sizes! Don’t you just love this time of year?! It’s a beautiful season leading up to winter and the holidays but the weather is crisp and the leaves are changing just like our lives…and also our wardrobes! Tweed is absolute proof that “fashion fades but style remains the same“–Coco Chanel was right! 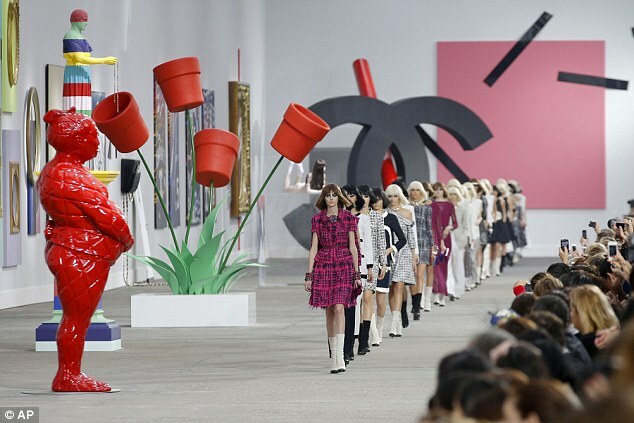 And it is once again back on the runways and on the bodies of celebrities! 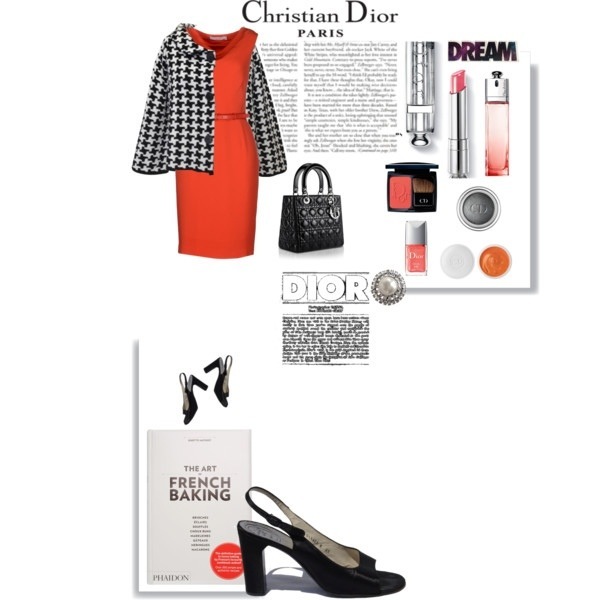 So break out that tweed jacket and/or skirt and you are sure to be both fashionable and stylish this season! Miranda Kerr definitely gets it right! 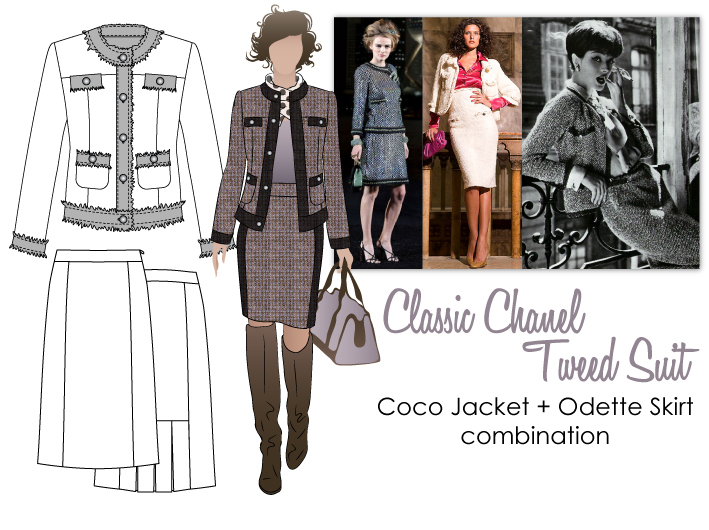 Of course, on the Paris Fashion Week runway for Chanel this week, tweed was the order of the day! Jenna Dewan rocks a tweed skirt! And for the gentlemen, tweed is very much back in vogue! 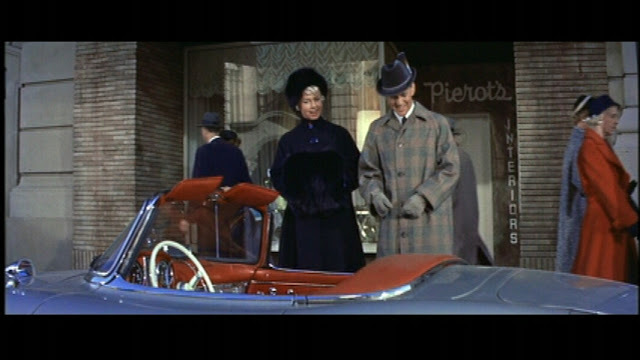 It is so attractive when men are dressed so sharply in the classics…. 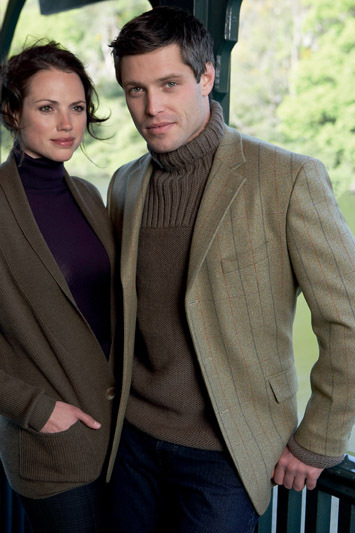 SO the conclusion is this: Tweed isn’t just for your grandparents. The classics are back. Style is back. I hope you are all well and happy and feeling beautiful at this lovely time of year! There is much going on! Once again, I am still hopeful for launching my company very soon but alas, I’ve been quite busy working in Hollywood 😉 So much great news! However, we must tackle the issue of…..the extreme importance of wearing the right shoes!!! As evidenced by the lovely and talented actress Rebecca Hall recently, it’s good to just refresh ourselves on how to wear footwear properly! I absolutely love Rebecca and like her, we all make fashion mistakes from time to time. When she was attending the Venice International Film Festival this week, she made the mistake of wearing those oh-so-popular-and-comfortable shoes on the red carpet that are also very clunky and unattractive. Kind of like the crocs that are popular? You know what I mean? Now don’t get me wrong, I have many times whipped off my stillettos and gone barefoot or have slid into some comfortable flip flops while holding my towering high heels 😉 But let’s just talk about why you should wear the right shoes to make YOU look fabulous! Also at the International Venice Film Festival…. Now if you’ll notice, all of these ladies are wearing heels which elongate their legs and make them look more attractive. That is the whole purpose! You can also do the same thing with flats, you just have to choose wisely! These croc type comfortable shoes make be all the rage but they are definitely not going down in style books! If you want to stick with flats and be comfortable (hey, who doesn’t!?) then opt for flats like these beauties highlighted over at Shoewawa…. Look for a more pointy toe to make your legs longer and leaner….